– The cheap Bluebird blues of the 1930s. After the stock market crash of 1929 and the Great Depression, the blues wouldn’t be the same anymore. For a start, the record business, as other businesses, tumbled down to sales which would hardly go beyond 5 % of what it was before. The blues and black music market would be particularly hard hit. However, against all odds, blues survived, be it that some adaptation was needed. It is awesome to see that the blues hardly had any attention for the social devastation that the Great Depression had brought about. It didn’t tell the story of the poverty and the social misery; blues got a more religious undertone as if consolation for all the sorrow was to come from above. 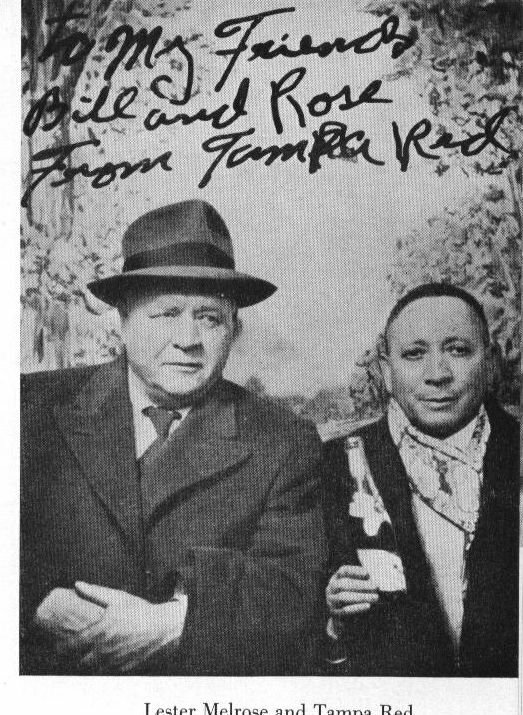 When Bukka White (Booker T. Washington White) was brought to Memphis in 1930 by Victor talent scout Ralph Limbo, he was asked to record a few gospel songs out of the 14 sides that were recorded. 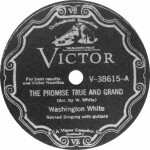 One of them was “The Promise True and Grand” (issued under the name : Washington White); the label mentioned : “Sacred Singing with guitars” (Victor 38615). I remember having read that in the advertising he was depicted with his arms open on the boat of Noah (however I was not able to trace this image). It would take a few years befor Bukka White would be asked to record again. The economic crisis would make record companies very reluctant to take any risks and it would take at least until 1934 until some serious recording activity was relaunched. Swing music, a form a jazz music, had developed since the early 30s and would become a dominant style as from 1935. A strong rhythm section, double bass, drum and brass instruments to produce a medium to fast tempo would become characteristic of the second half of the 30s. Also amongst the black population, jazz had gained popularity. The blues music in the 30s cannot be understood without interpreting it within this larger context. In many respects, the work of Robert Johnson in 1936 and 1937 can be seen as an anachronism if one emphasizes the broader context of the development from the rural blues in the twenties to the urban blues at the end of the 30s. In order to recover from the economic depression, record companies had to change their commercial strategy. The 78 records had to be sold at much lower prices. Whilst in the late 20s, a 78 record would cost 75 cent, prices were brought down to no more than 35 cent. 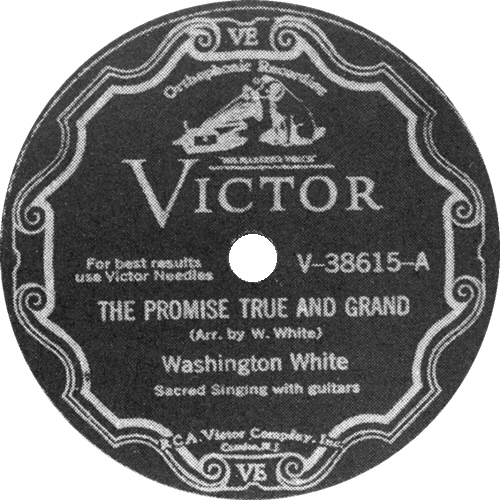 A leading company in this cheap production was BLUEBIRD , a subsidiary label of RCA-records holding, which had also bought Victor records in 1929. It started out in August 1932 in the budget market with a non standard format of 8 inch records but quickly turned to the standard 10 inch format. Bluebird would put a decisive stamp on the blues sound of the 30s. Its brand was known to issue records as cheaply as possible; studio sessions were organised as marathon sessions, excluding as much as possible the need for retakes of a song. The latter was only possible if highly experienced musicians could be hired. Productivity was the key word to survival. 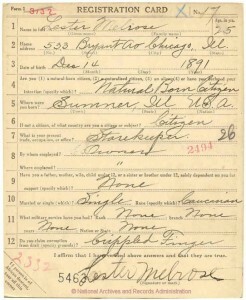 This introduced the idea of in-house musicians who were hired for different musical productions. Those musical productions had the tendency to sound somewhat sterile, but their marketing presented little to no risk : they corresponded precisely to what the public wanted. A typical example of this music can be heard on the double set “Tampa Red, The Bluebird Recordings 1936-1938”. Tampa Red, a guitar wizard and legendary for his bottleneck guitar playing style, leaves the guitar in the background on those recordings and acts more as a band leader fronting a small jazz-pop band. Guitar, piano, clarinet, washboard, string and bass : this is what had replaced the country blues based on the sole interplay of voice and guitar. Jazz was always around in the 30s when blues was recorded. A key person for the transition from the country blues to the urban blues was no doubt Lester Melrose. Born in 1891, he moved to Chicago at the end of the 1910s, and launched himself in the music business in the beginning of the 20s by setting up a music publishing house and record store. In 1925 he turned to being a free-lance talent scout and record producer. 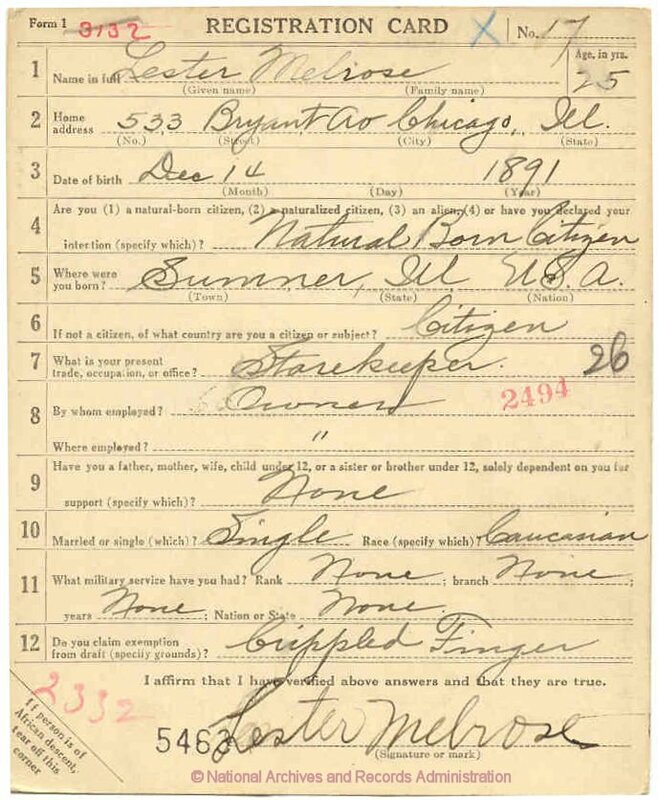 His first discovery was Tampa Red, and working for a.o. Bluebird Records, many more discoveries would be on his credits : Big Bill Broonzy, Sonny Boy Williamson (I), Roosevelt Sykes, Lonnie Johnson and Leroy Carr are just a few of the names that come to my mind. He fitted perfectly in the Bluebird commercial strategy, and in fact the terms ‘Bluebird Beat’ and ‘Melrose Sound’ can be used as mutual exchangeable concepts. Lester Melrose created a typical style of music that was a mixture of vaudeville, black music, jazz and swing, and introduced the full band arrangements in the music studio where he could rely on a more or less steady bunch of highly qualified musicians who would later have successful solo careers. Whilst still a big fan of the acoustic work, he emphasized the rhythm section, bass and drum and can be considered as a founding father of the Chicago Blues, and in a certain way he helped to pave the way for the later rhythm and blues. Long before Phil Spector created his wall of sound, Lester Melrose created the typical band sound in the blues. After World War II, urban blues and Chicago Blues more in particular took a firmer turn towards the raw, electrical band sound with leading musicians as Muddy Waters and Howlin’ Wolf. 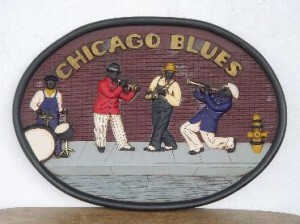 The increasing inflow of African-American in Chicago from the South changed the blues scene definitively to a harder and deeper sound. Melrose retired from music business in the 1950s. However, the basic concept of the Chicago sound, even it became purely electrical, remained the same, based on the band arrangement : leading guitar, bass, drum and very often piano. This is also the electric small group sound that would later in the 1950s kick off rock and roll. The Great Depression changed the blues sound which in the 30s could survive on record thanks to a changed musical concept, more band oriented and with a stronger emphasis on the rhythm section. 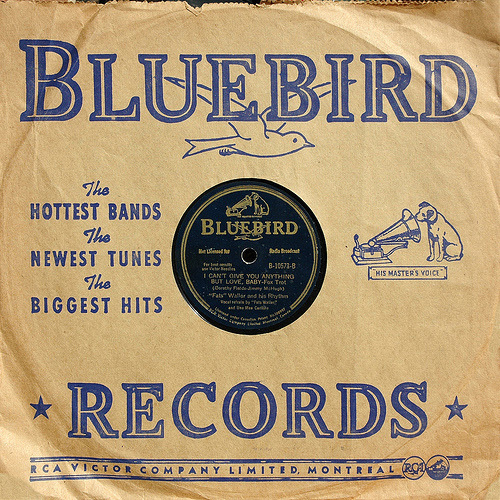 One can argue that Bluebird introduced some sterility and uniformity in the blues sound, but luckily the strive for cost reduction meant at the same time that it opened the doors for highly talented musicians who would later, after World War II and even some during the blues revival of the 1960’s, carry the tradition further and preserve this gem of music forever. One Response to – The cheap Bluebird blues of the 1930s. Its like you read my mind! You seem to know a lot about this, like you wrote the book in it or something. I think that you can do with some pics to drive the message home a bit, but other than that, this is magnificent blog. An excellent read. I’ll certainly be back. – African American Music – A survival or an actual creative force in today’s culture? – The Whitman Sisters: why we may never silence them.